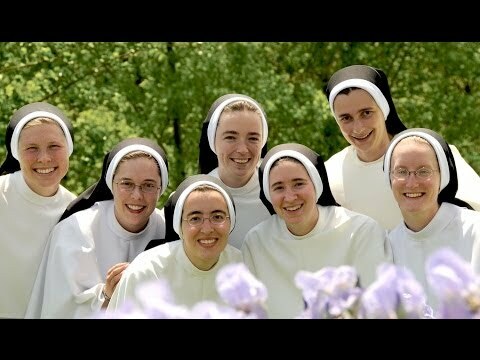 Could God be calling me to be a nun, even though I don’t have the desire to be one? Could you imagine a husband who demanded that a woman marry him, even though she really wasn’t interested? Or, can you imagine a woman who agreed to marry a friend as long as she didn’t find anyone better by the time she was 40? Not very romantic. Thankfully, God doesn’t operate like this. He is a lover and not a hostage-taker. In fact, the only reason he would want you to enter the religious life is if you desired it with all of your heart. I can’t speak for God, but I would imagine that he isn’t more proud when a woman becomes a nun than when one becomes a wife. What delights him is when we do his will, regardless of what it is. Both vocations are holy callings from Him, and our job is only to say yes to him. Some women are not called to the married or the religious life, but can still fulfill God’s plan for them by giving their enthusiastic “Yes” to him in their daily life. Although this may sound strange, it’s good if you feel a tug toward both vocations. It’s natural and healthy to see the beauty of the married life if God is calling you to the religious life. In the same way, I think it’s healthy to even feel a tug towards the religious life if you’re called to be a wife. Any good Catholic is going to see something attractive (at least to some extent) in both vocations, so it is not always best to let your feelings determine your vocation. They do play a role, but they can get pretty confusing at times. Perhaps God does not want you to know your vocation right now. Living in God’s will does not mean that you’ll always know the future. In fact, if he’s a “Lamp unto our feet,” as the Psalm says, this seems to imply that he may simply guide us one step at a time. God’s will is our hiding place, and he tells us not to worry about tomorrow. Today is where peace is to be found. God always hears us when we pray. He always answers us: sometimes with a yes, sometimes with a no, and sometimes with “wait.” All are answers to prayers, even if they aren’t the answer we want right away. Perhaps if he is calling you to marriage, then now is a time when he really wants to teach you about trusting without fear. Perhaps you have no desire to join a convent now, but years from now, your heart might crave it. Who knows? Only God. Therefore, cling to him and trust him with your whole heart. Be at peace, knowing He has a plan in mind for you (Jer. 29:11-14). And when you cannot stand it, God will carry you in His arms. The same loving Father who cares for you today will care for you tomorrow and everyday. Either he will shield you from suffering or He will give you unfailing strength to bear it.